Celebrate the holidays—Santa Cruz-style! 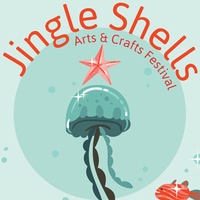 The Seymour Center will host its annual Jingle Shells Arts and Crafts Festival on December 9, 2018 from Noon—5:30 PM. This holiday tradition features local artists and crafts people who will tempt you with their ocean- and nature-inspired gifts. Enjoy live music, hot apple cider, and children’s activities. Shop jewelry, ceramics, art glass, photography, gourmet food gifts, and much more—all by local artisans—and save 10% in the Ocean Discovery Shop!